Yet another busy week for all at Owl Locksmith, with a wide variety of jobs undertaken for both our domestic householders and business customers alike. 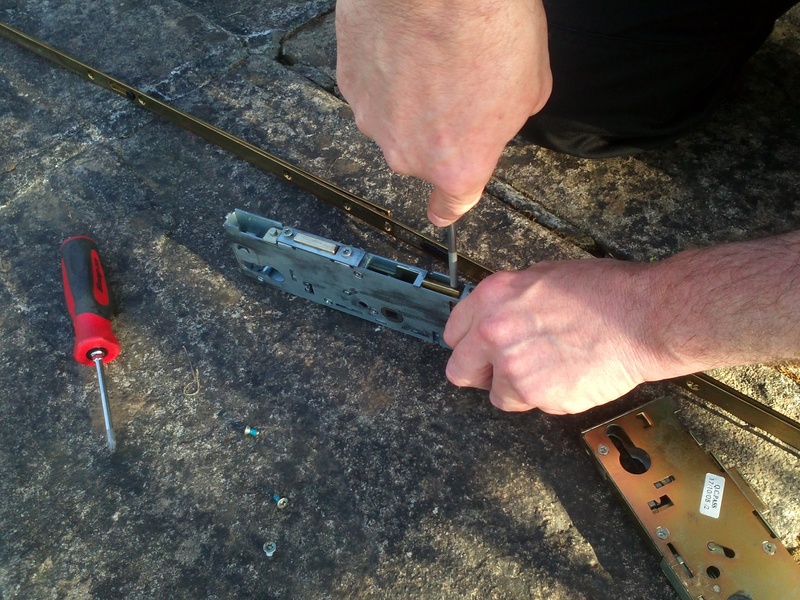 Monday saw the an early start with a lock replacement on a house in Penzance, then it was up to Redruth to replace a digital mechanical code lock at Nine Maidens School. This was on behalf of Portakabin who contract us to undertake lock work on their various buildings around Cornwall. Monday came to a close with an emergency entry task in Helston where a woman’s door would not open. It turned out that the lock was fine but the door had dropped requiring some minor adjustment. Tuesday was much the same, starting with a local Hayle job to replace a cylinder in a Upvc door. With a couple of hours in the office to catch up, we were then called to Truro Diesels, part of the Volvo dealership in Truro to replace a cylinder with a key snapped in it. Unfortunately on this occasion we were unable to extract the piece of key. This was swiftly followed by a trip to Shortlandsend to fix a Upvc multipoint lock and fit a security device to a ground floor window. The mechanism was damaged beyond repair but luckily all that was needed was to change the centre gearbox that works the overall lock. Wednesday and Thursday, much of the same again plus carrying out some tasks for our contract customers including the estate agents, Smiths Gore in Truro and Assertive Outreach which is part of the NHS who deal with the housing of vulnerable persons. Thursday saw a couple of jobs for private homes in Penzance, St Agnes and Camborne and then to finish off we had to change cylinders for the tv production company “Studio Lambert” who were filming part of the series “4 in a bed”. Today, we started the day with a cylinder change in Madron, followed by an emergency entry resulting in a Mortice Sash lock change in Perranwell Station. We finished off in Falmouth by fitting a knob set into and internal door. All in all, a very varied and busy week without any midnight lock outs so it’s nice to catch up on some lost sleep from last week.